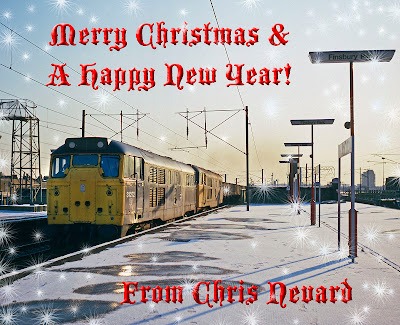 Chris Nevard Model Railways Blog: Merry Christmas! 31272 & 31230 power a coal train through Finsbury Park. January 1987. Rolliecord, Ektachrome 100. 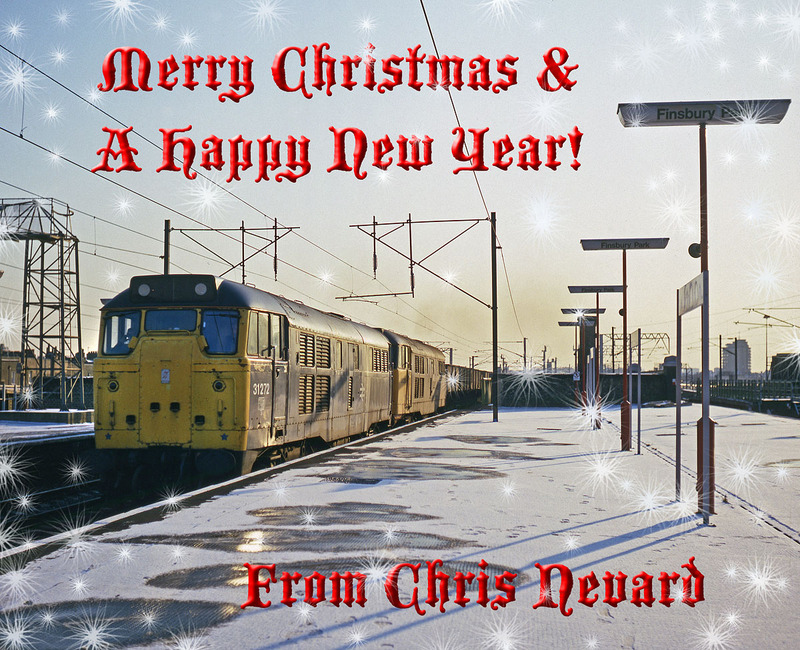 Enjoy your day where-ever you are, and if you're a toy train fan I hope that Santa bought you lots of toys. Enjoy! I think all train fans are hoping that Santa brings them lots of goodies--I know I am. I just hope Santa remebers that I am an N scaler. Thank you for the enjoyment you have given us on your blog throughout the year - may you and yours have a wonderful Christmas and a healthy, peaceful and prosperous New Year.